Lets face it, the world has a big problem on its hands. There's an over population of giant evil Tigers, huge man eating Phoenixes, and fire breathing Dogs with big horns. The only thing to do is to call upon ancient Chinese generals and give them magical powers to defeat these creatures. 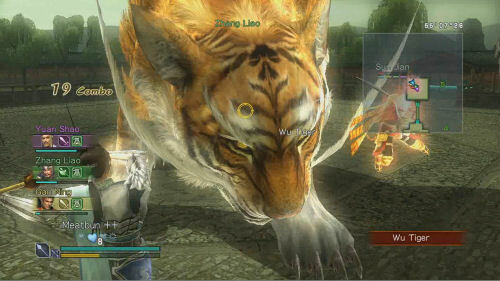 Just check out the latest gameplay footage from Dynasty Warriors Strikeforce on the Xbox 360 and PlayStation 3. The four player co-op footage will make everything clear. I feel safer already. Page created in 0.2497 seconds.